Time Machineのバックアップ作成時にMacBook Pro Late 2016がクラッシュし続ける不具合はmacOS Sierra 10.12.2で修正されるもよう。 | AAPL Ch. 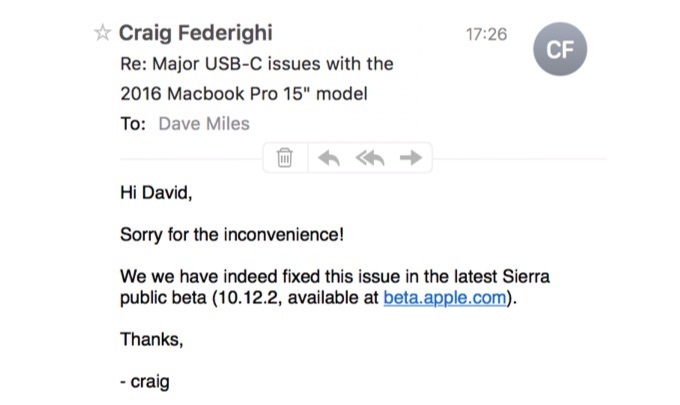 We we have indeed fixed this issue in the latest Sierra public beta (10.12.2, available at beta.apple.com). I had the same issue, MBP crashed when transferring large files (over 4TB). Installed 10.12.2 and problem is solved! Yesterday I did a 40TB backup with no problems at all!